Families First Mediation is a pioneer in the field of divorce mediation within San Jose Ca. Dina Haddad has presented the benefits of divorce mediation and the impact of California divorce law to a wide-range of audiences, from Google employees to the Santa Clara Valley Marriage and Family Therapists. Similarly our entire divorce mediation team takes great pride in being active trainers, mediators and teachers of mediation in the greater California area. Take advantage of our vast expertise and background in the field of divorce mediation and our genuine desire to help you mediate your divorce. Divorce mediation is a non-adversarial process in which a divorce mediator – specially trained for this purpose-helps people find solutions to issues such as asset and debt division, child and spousal support, and child custody. During the mediation process, both parties agree to use a third party, the divorce mediator, to resolve their divorce. At our divorce mediation company, we guide you through the entire process of divorce so you will never need to go to court. Our mediation services are an alternative to the formal process of divorce court, including collaborative law. Divorce mediation is completely legal, inexpensive and puts you in control of your divorce. 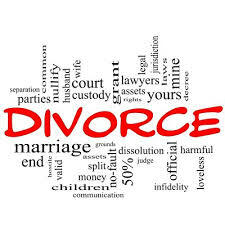 Consider our company’s complete divorce services, which provide expertise in an affordable way. Our divorce mediation process supports a resolution of legal and psychological issues simultaneously. With our team of qualified mediators, parties to the divorce work together in a neutral and safe environment, usually the mediator’s office, to come up with a mediation agreement. This can be done with or without attorneys. The parties meet with the mediator for a number of sessions, to reach an agreement on all issues related to their divorce, including asset and debt division, child custody, child support and spousal support. This includes families in a diverse range of socio-economic backgrounds, dealing with complex legal and financial issues. The agreement is then written down in a legal document, either a Marital Settlement Agreement (MSA) or Judgment for Dissolution or Legal Separation. Once the agreement has been approved and signed by all parties, it is then filed with the participating court with other relevant legal documents. Consequently, the signed agreement becomes an order of the court that results into a finalized and legal divorce. If you have started the process with attorneys, you can also mediate your divorce. There are so many benefits to divorce mediation, as discussed below, that it is never too late. Call us now so we can help you determine if mediation is right for you. Normally, divorce mediation costs are based on the number of hours or days required to reach a resolution. Our divorce mediation company has worked hard at creating an affordable and efficient process for our clients, without sacrificing quality results. Divorce mediation is also a cheaper option when compared to the use of attorneys to represent you in court. Additionally, our mediation service offers clients a healthy way to resolve their divorce or legal separation so they can reduce their stress, fears, and concerns, and also bring stability for their children. In divorce mediation, you stay in control of your divorce process. We empower you to make the right decisions for you and your family. There are so many benefits to divorce mediation but it is still affordable and costs less than the traditional methods. How can we help you? Our experts in divorce mediation guide couples to help them resolve all divorce related issues and obtain a full legal divorce. The four major mediation issues that our San Jose experts resolve are: Spousal support or child support Child custody (Co-parenting) Division of assets Division of debt Within these issues, there is a breadth of sub-issues that we will explore so you not only understand them but make the right decisions. Our divorce mediation practice is focused in the family law field that includes support, custody, paternity, parenting plans, paternity and division of assets and debt. We are available to mediate for parties from San Jose, Los Angeles, and other areas in California. Come and experience the work done by real professionals who are not only experienced, but also committed to ensure you receive the best San Jose divorce mediation services. Contact us for more information.